Providing access to the technical field of medicine with an AI that streamlines the health literacy process. For far too long, the healthcare industry has been woefully far behind the technological boom of the last two decades. While those in the ivory towers of the extremely well-endowed research centers of the world have been able to take advantage of cutting edge advances, the typical inclusive effect of technology on the average consumer has not yet been received by healthcare consumers. Essentially, while data is being manipulated by facebook to show you that cool new product you didn’t know you were dying to buy, there are literally millions of people globally for whom the same innovations could mean lives saved. We at PlainDoc believe that it is time for this trend of subpar healthcare personalization to be transformed forever. The Patient Protection and Affordable Care Act of 2010, Title V, defines health literacy as the degree to which an individual has the capacity to obtain, communicate, process, and understand basic health information and services to make appropriate health decisions. Health.gov reports that only 12% of Americans are health literate to the point of proficiency. And these broad trends have an even larger impact on the especially poor and/or undereducated. PlainDoc’s mission is simple: We aim to provide an access to the technical field of medicine with a platform that simplifies the medical process and significantly eases the burden of medical issues. The premise is simple. 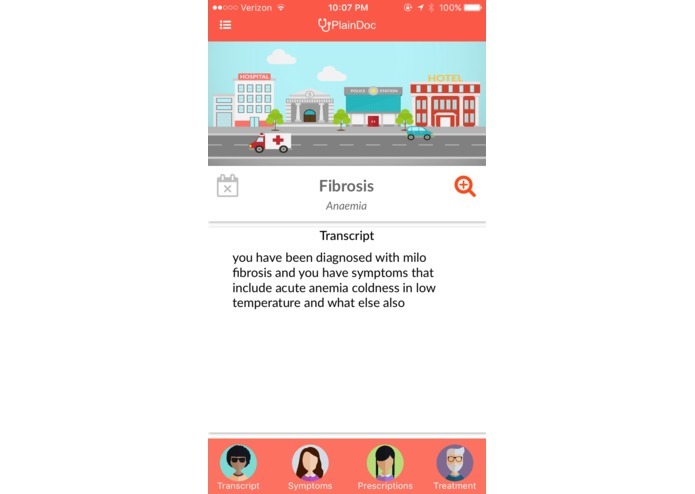 The patient records the Doctor's diagnosis, and we do the rest! 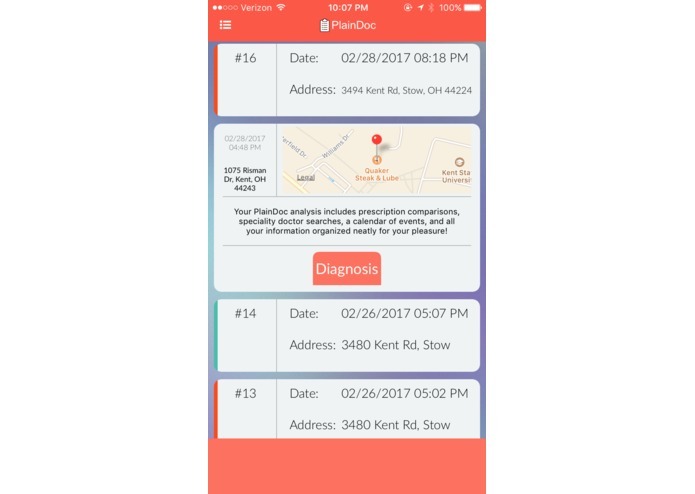 Next thing you know, the visit to the doctor becomes as plain as day - thanks to PlainDoc! Blood sweat and tears - and a LOT of redbull. I developed a PHP backend with Swift frontend on the mobile application. As a sole developer, I had to learn to prioritize specific tasks over many, many other ones. In addition, making sure I had good data was difficult - there was much trial and error in this process! In addition, the native Siri API only offers a 1 minute recording time limit - I had to engineer a solution that extends this limit without going against Apple's Siri requirements. 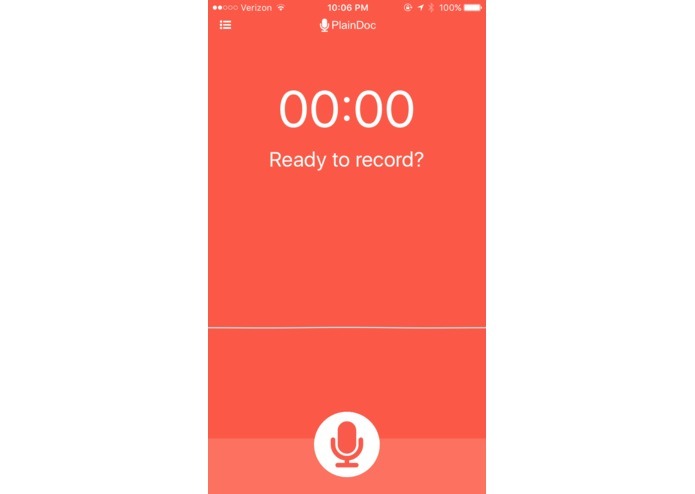 I'm proud to say that PlainDoc utilizes an unlimited Siri recording time thanks to the solution I had engineered! Developing a full MVP alone, without assistance from other developers. How to organize a project and prioritize my time efficiently! PlainDoc capitalizes on a largely untouched market share. As uniquely social and interactive platform, large healthcare companies would vastly increase their corporate social responsibility and brand image. Insurance companies and medical practices would be poised to capitalize on the new platform to garner customers - technology is already being optimized and implemented in a myriad of other applications, but quality consumer health software has lagged behind. Making medical care accessible and personal again is consistently cited as the most important initiative for public health campaigns and this app is the secret! I developed everything - I am the sole developer that worked on PlainDoc! Now updated with a functioning blockchain for all associated data - thanks to the Healthcare Blockchain Hackathon! All the code is currently open sourced under MIT license, and I am developing a public API that will service any public calls!